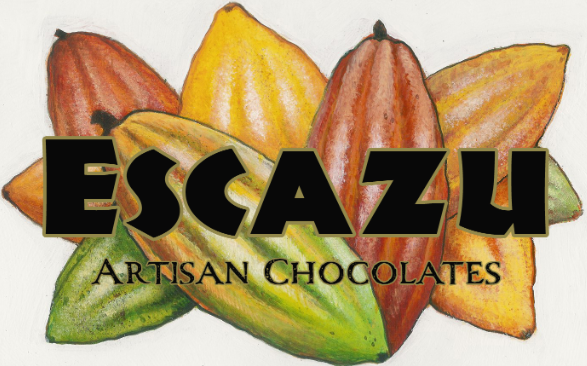 Escazu Artisan Chocolates Retail Shop is the perfect place to visit this winter. If you haven&apos;t paid this Raleigh chocolate shop a visit, you&apos;re in for a real treat. Upon walking into the shop, you&apos;ll be taken aback by the rich smell of cocoa. Seriously, it&apos;s like entering chocolate heaven at Escazu. You can also watch the machines making chocolate through a glass window in the corner of the shop. If you&apos;re like me, you&apos;ll most likely stand in awe as you watch the chocolate spin around on an old stone wheel. Order one of Escazu&apos;s handmade truffles but don&apos;t overlook the historic hot chocolate. I recently found out about the historic hot chocolate through Offline&apos;s Winter Bucket List and I&apos;m so happy I tried this rich, delicious beverage. 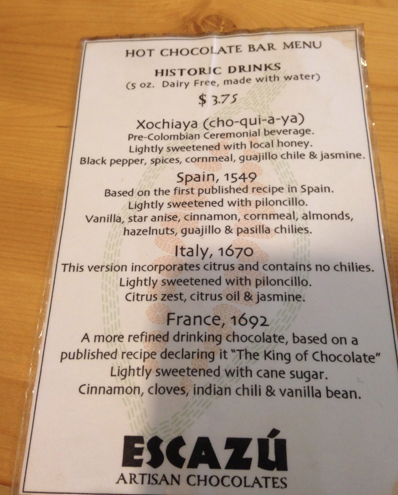 I ordered the historic drink from Spain, which is based on the first published hot chocolate recipe from 1549. The hot chocolate is lightly sweetened with piloncillo, and includes vanilla, star anise, cinnamon, cornmeal, almonds, hazelnut, guajillo and pasilla chiles. 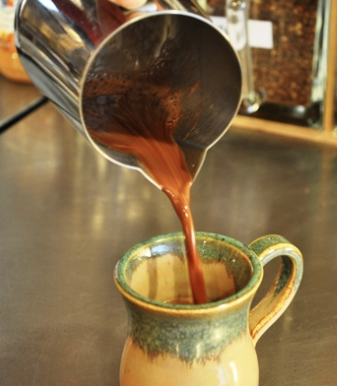 No wonder the traditional Spanish hot chocolate is also a staff favorite! There are many historic drinks to choose from at Escazu. 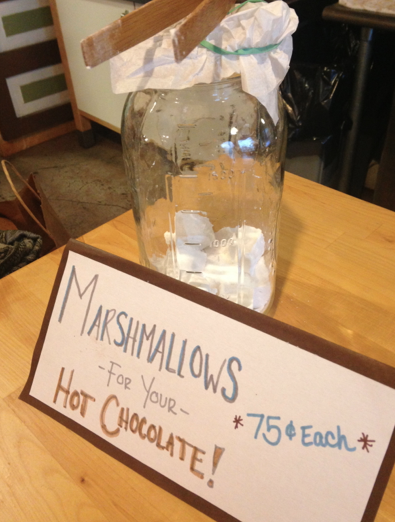 If you&apos;re lucky, Escazu might even have homemade marshmallows to enjoy in your historic hot chocolate! Sip on your hot chocolate while you are surrounded by local jewelry, pottery and paintings made my artists throughout Greater Raleigh. The shop has such a great feel and you&apos;ll feel good supporting a local Raleigh artisan chocolate shop. What a perfect Foodie activity to do this winter!